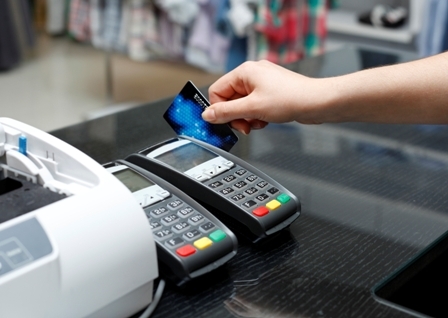 Nowadays it has become imperative for a business to have a merchant account. You must be wondering why? Perhaps your business is small, and you are worried about security or credit card processing fees. Or maybe you own a family-operated business and are committed to traditional payment methods which are followed from several decades. However, things have changed and following the trend and technology can grow your business. • Increased revenue: Every person nowadays are carrying some form of credit or debit card, as it has decreased the need to carry cash. As customers are using cards to make large purchases, the ability to accept and process a wide range of credit cards can help your business increase sales. • Increased productivity: As one does not have to count the cash or fight for change, the productivity has increased. Recently, people are looking for quick service business as with no-touch credit card terminals, though customers can swipe and enter their PIN without handing over their card. • Customer satisfaction: Today’s customer enjoys flexibility. Provide customer different kinds of payment options, including checks, cash, credit, debit cards, etc gives them control over the way they want to spend their money. Providing them the flexibility to pay money easily gives them complete satisfaction. • Better money management: Accepting credit cards and accepting online payments can simplify the way your business handles transactions. Instead of fighting for change, electronic payments can help you organize and help you manage better cash flow. These are some of the initial benefits. However, you can find many other benefits of Credit Card Services to take your business to the next level. Hey there! Someone in my Myspace group shared this website with us so I came to give it a look. I’m definitely loving the information. I’m book-marking and will be tweeting this to my followers! Fantastic blog and superb design.